We knew activities would be an important ingredient in keeping Lil D happy on our trip to Copenhagen, but we hadn’t realised how fun they would be for the grown ups too. The simplest of things but again effective. Lil D needs encouragement when it comes to reading and spelling, but she had no idea that’s what we were up to when we played hangman. I have to say, the man gets quite a few extras before he’s hanged! This was worth every minute Bear put into organising it before we left. 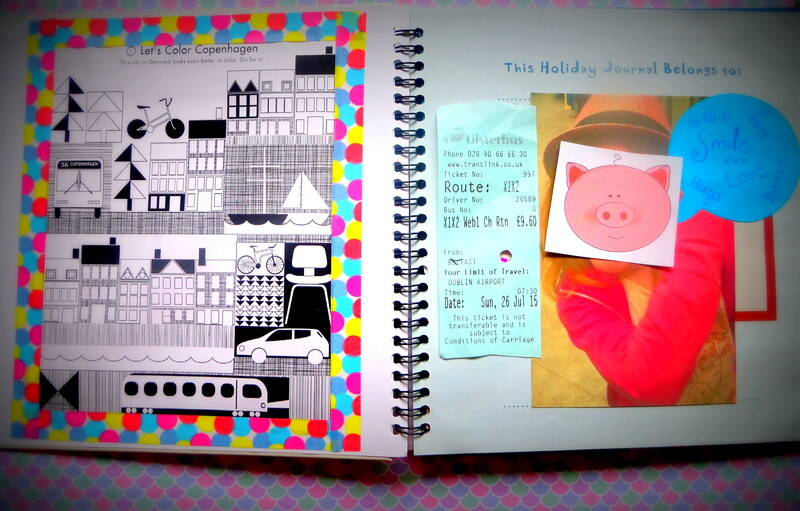 There were pictures of famous sites, mini maps and pages to fill with tickets, receipts and information about each day. Lil D got into the sticking things in side and tolerated our requests that she write some sentences about her day. We took it out during dinner in restaurants and she worked away (until distracted by ice cream sundae making stations). We brought a couple of relevant books with us for this trip. A phonic reader of The Little Mermaid, which we read beside the statue of Hans Christian Andersen (though Lil D had really had enough that day so it didn’t get the attention it deserved), and Molly and the Magic Suitcase: Molly Goes to Copenhagen Chris Oler and Amy Houston Oler. Molly and her brother Michael see all the sights, learn how to say Danish words and experience some Danish culture. It was a little long to keep our dote interested, but it was a nice idea. How can you have a dance party in your room without music? Well maybe the tv will provide a music channel, but Lil D is a YouTube girl and having access to this through her tablet in the hotel gave her the right kind of energy to start (or end) the day.